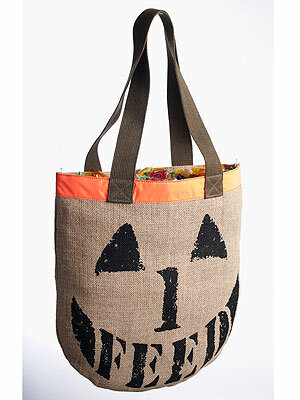 This Halloween give back by supporting the FEED Trick-or-Treat for UNICEF bag! If your unfamiliar with Trick-or-Treat for UNICEF, they are celebrating 60 years of making a difference in the lives of the world’s children. Since 1950, when children across America were inspired to collect coins for UNICEF while trick-or-treating to help children affected by World War II, generations of Americans have raised nearly $160 million through Trick-or-Treat for UNICEF to help save and improve children’s lives around the world. This year, for each FEED Trick-or-Treat bag ($13.20) purchased through HSN will donate $3.50 to the U.S. Fund for UNICEF and will generate funding to help UNICEF provide one child in the developing world with an entire year’s worth of micronutrient powder. Children can easily sprinkle the powder over their food, making this a revolutionary way to help children receive the vitamins and minerals they need. Go to www.feedprojects.com to find out more information about the program and www.hsn.com to purchase.